The basic function is as multiple thermostat, suitable for the livestock sector, greenhouses etc. It has seven configurable relays plus one for alarm. The 8RP regulator is designed to connect up to seven groups of staggered ventilation. Choosing a reference temperature (set point temperature) that defines the extent to which it will connect only ventilation group 1 (timed or not). The temperature differences for the activation of other groups, is elected by equal steps or setting the temperature for each separate group connection. 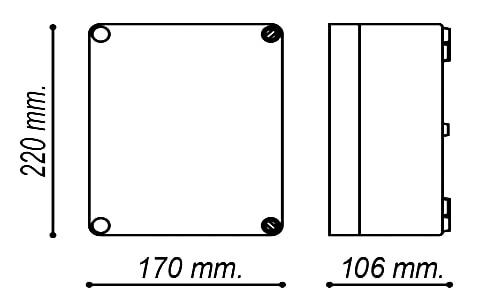 3 analog outputs (0-10V.) are included for windows control or air inlets control. Proportional heating and proportional ventilation is allowed than a power amplifier (VK-25P for example). It detects and indicates alarm because of temperature, level of CO2 (optional), humidity, faulty sensor etc. and statistics are stored. Heating and / or cooling are controlled, using some configurable relays, with that function. It allows connection alone to a PC , or within network to receive remote parameter changes, send alarms and to send a mail thru the PC. The PC application is provided optionally. Growth curves are available, recording the current set temperature and end, or including intermediate points, as desired. Rotation of groups is allowed to standardize the ventilation in different parts of the house. 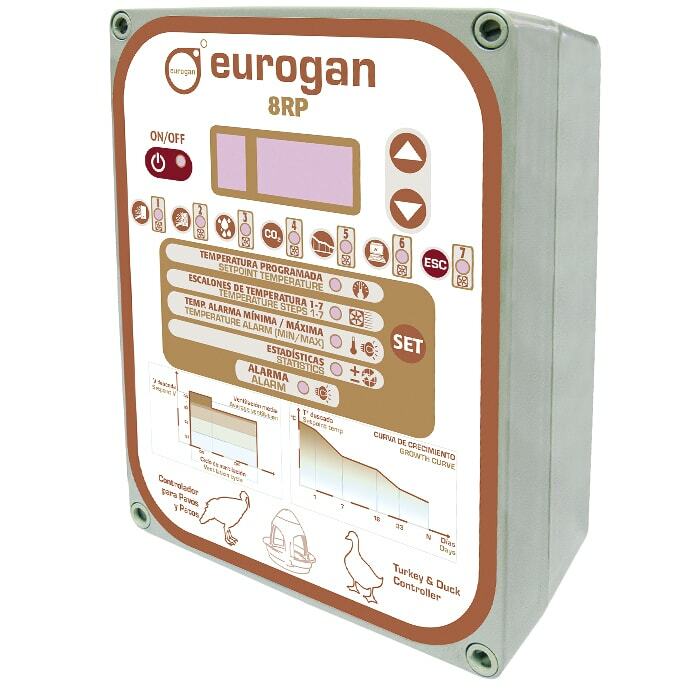 In short, the 8RP regulator is an equipment of powerful performance and simple programming, ideal for controlling a progressive ventilation, depending on the environmental conditions of the house.